The latest talk states Apple could have plans of adding another color option for the iPhone X, if you guessed the color Red, you guessed right. Rumor has it that adding a new color shade would help give the handset a mid-year sales boost. Another rumor which started earlier this year states that Apple could release the color Blush Gold this year as well. If the company decided to release both colors, that would really put a boost in sales for the iPhone X for the rest of the year. However, this concept of releasing two new colors at the same time will probably never happen. 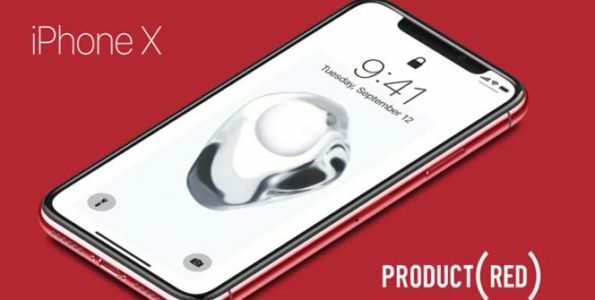 The designer Martin Hajek created a mock-up image on what the iPhone X might look like in the (PRODUCT) RED color. Watch the video below and take a look at this image of the iPhone X in (PRODUCT) RED. As always, stay tuned for any updates, rumors and talks as they surface on Apple adding a new color for the iPhone X.